Weekend Shortcuts are complete guides to weekends away, written specifically to help you enjoy a perfect mini break without needing to do any additional research. 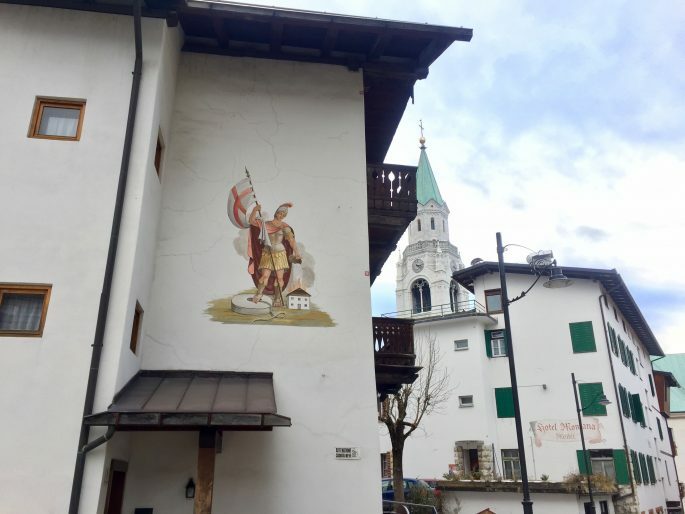 This weekend shortcut tells you EVERYTHING you need to know to plan a perfect weekend in the town they call the Queen of the Dolomites; Cortina d’Ampezzo, in Northern Italy. Despite being best known as a world class ski destination, I’ll show you a fun filled weekend of culture, art, shopping, history and good food. And while snow bunnies visiting in Winter can add in skiing, snowshoeing or other mountain pursuits, non skiers (like me) or summer visitors will have plenty to keep them entertained. 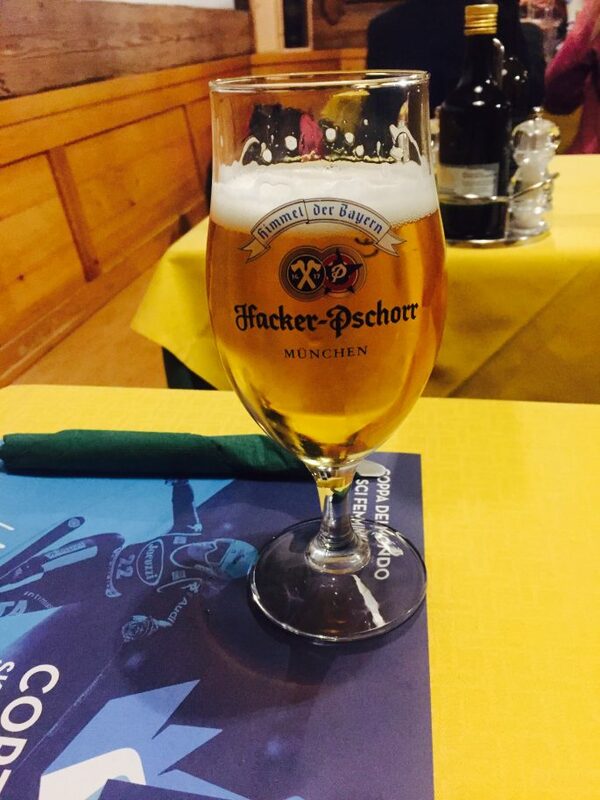 What Kind of Weekend in Cortina are we talking here? 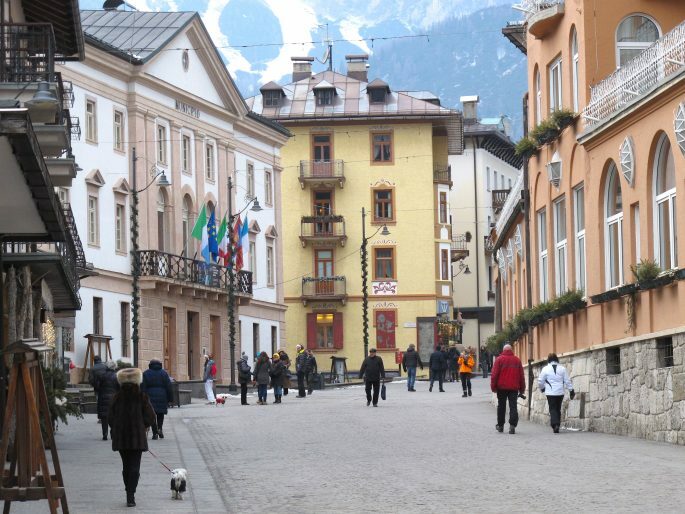 What Is There To Do In Cortina Apart From Skiing? Cortina d’Ampezzo is best known as a chic and stylish mountain destination and a world class ski resort, and it has a bit of a reputation as a playground of the rich and famous. 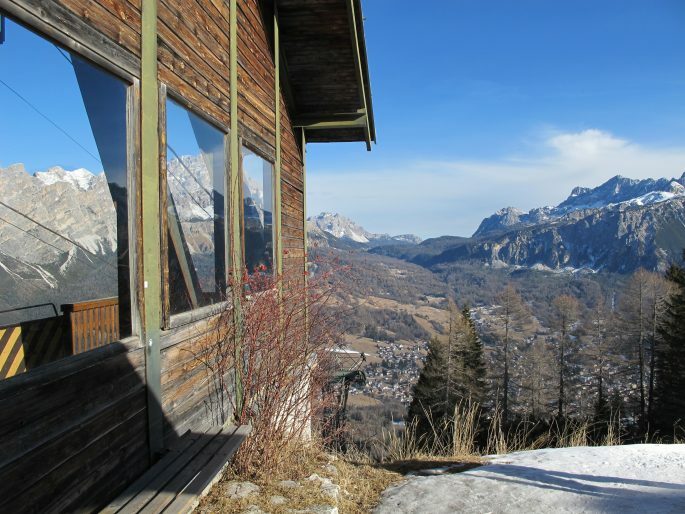 But Cortina is actually surprisingly affordable, easily accessible and has plenty to offer those looking for a relaxed weekend away at any time of year, even non-skiers. 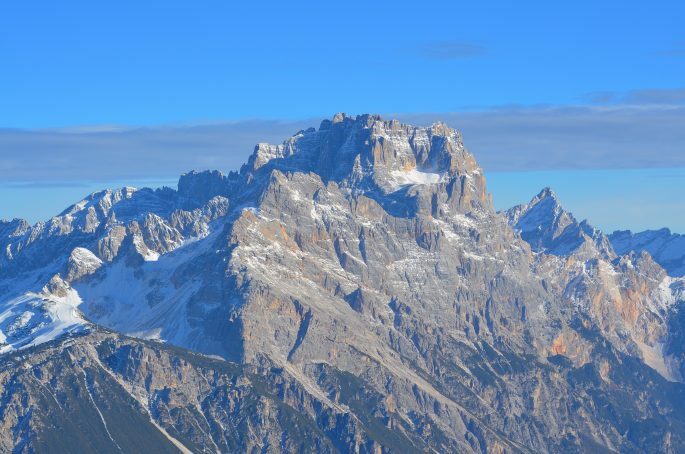 As well as stunning views of The Dolomites’ dramatic Alpine scenery (the Dolomites are technically part of the larger mountain range of The Alps) there are first rate snow and ice pursuits other than skiing – snowboarding, snowshoeing, sledding and ice skating, even ice hockey matches. But there’s also delightful charm to just winding down, enjoying the fresh mountain air, gorging on Italian food (there’s an entire restaurant here dedicated to prosciutto) shopping on the Corso Italia and soaking up the cultural, artistic and sporting heritage of this Olympic town – in fact there are a surprising number of museums in Cortina. 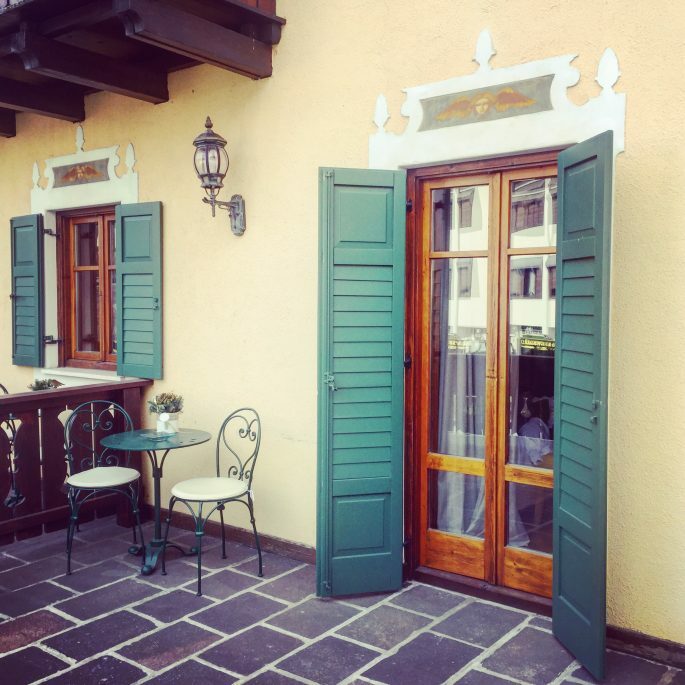 There are also plenty of scenic spots at which to enjoy lunch or a coffee, and there is some moving World War I heritage around Cortina if you’re a history buff, which is ideal to explore off-season. 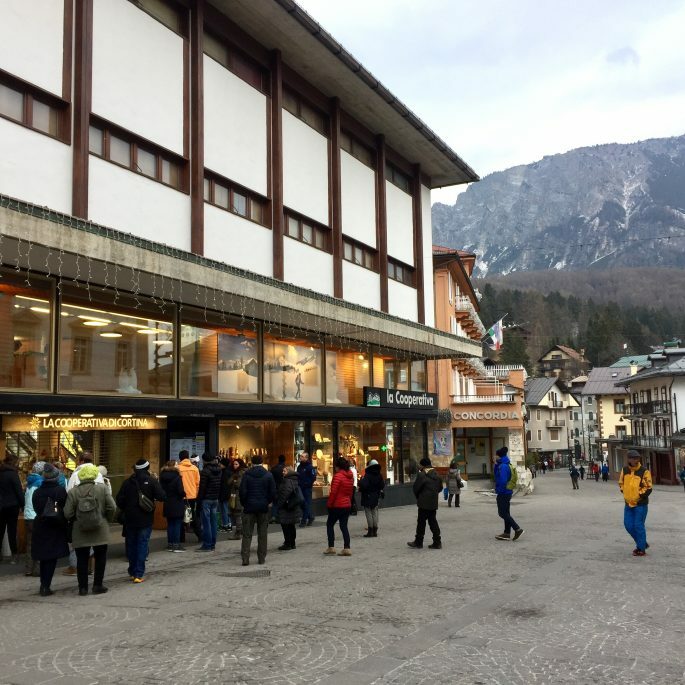 One of the great things about a weekend in Cortina is that it gives you the option to spend a few hours in Venice either on the way in or out, as the closest airports to the mountain town are in Venice. 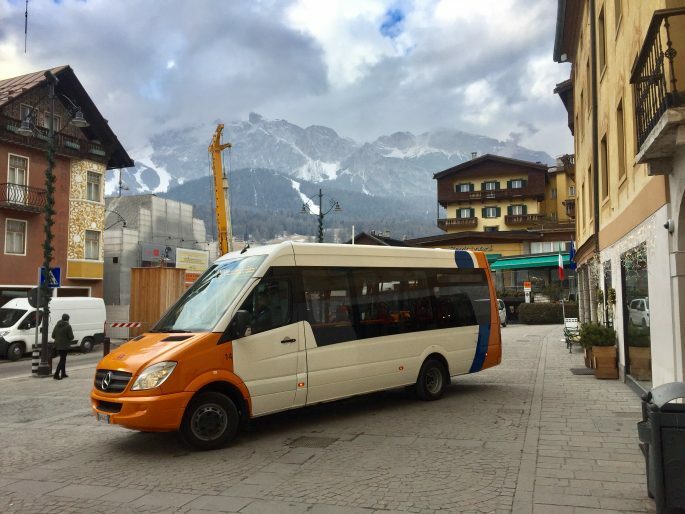 You can scroll to the bottom of this post for more info on getting to Cortina and getting around once you’re in Cortina. 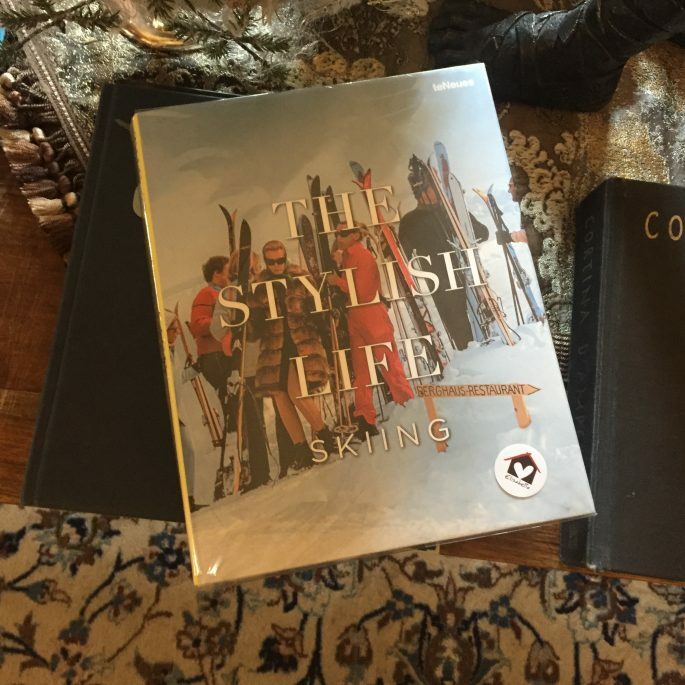 The main inspiration for my visit to Cortina was an invitation from the Hotel Ambra Cortina, who realised that their stylish boutique hotel was exactly the kind of place I like to try out – and I’m very glad that I did just that. 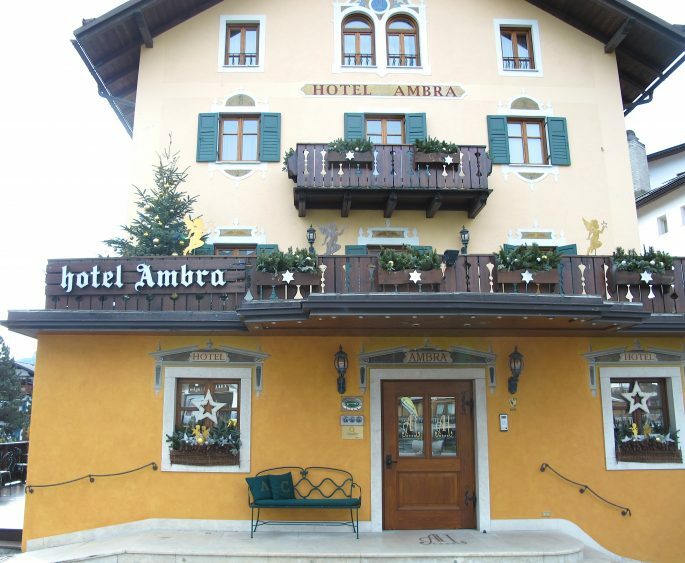 The Ambra is also one of the only hotels in Cortina which is open all year round, as many close off-season, so if you’re looking at a weekend in Cortina at any time of year you can’t go wrong. It is also located right in the middle of town, so if want a leisurely weekend and don’t want to hire your own transport it is particularly well placed. You will find an impeccably designed boutique hotel with the same standards of decor and quality as well as first rate cleanliness that you could expect from a 5 star hotel – but it feels intimate and relaxed. That’s a good combination. 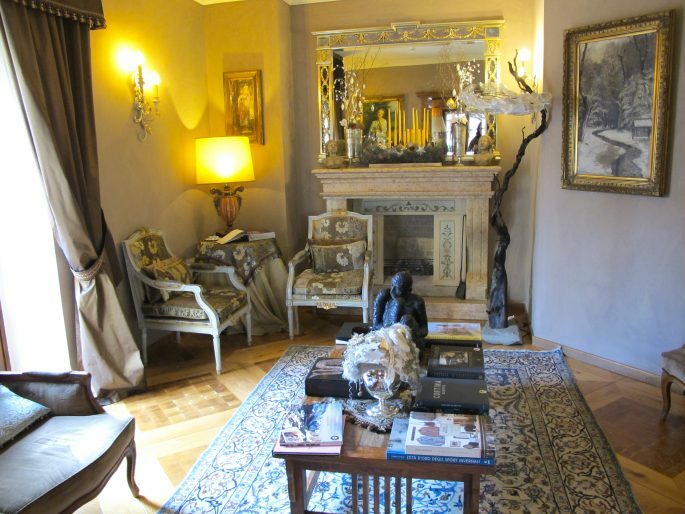 Recently refurbished the hotel is quite the girlie palace – each floor has themed rooms, ranging from nature, cinema and theatre to fashion and they are all dripping with glamour – and best of all there are little trays of Baci chocolates everywhere you look. Also the entire hotel smells divine, and there’s nothing so luxurious as all of your senses being taken care of, including scent, plus the hotel’s own brand of bathroom goodies smell pretty good too. Unless you take an early morning flight from the UK you’ll likely arrive in Cortina in the early evening. This means you can check into the hotel and ask them to point you in the direction of the nearest pizza. Maybe you’re like me and don’t want to stand on ceremony at dinner right after you get off a plane? I would rather leave the fine dining for another evening and head somewhere relaxed and low key on the first night. As it is Italy, I also like to start on the pizza as soon as I can (I manage to eat pizza 4 times in 3 days while in Cortina so the tactic pays off). 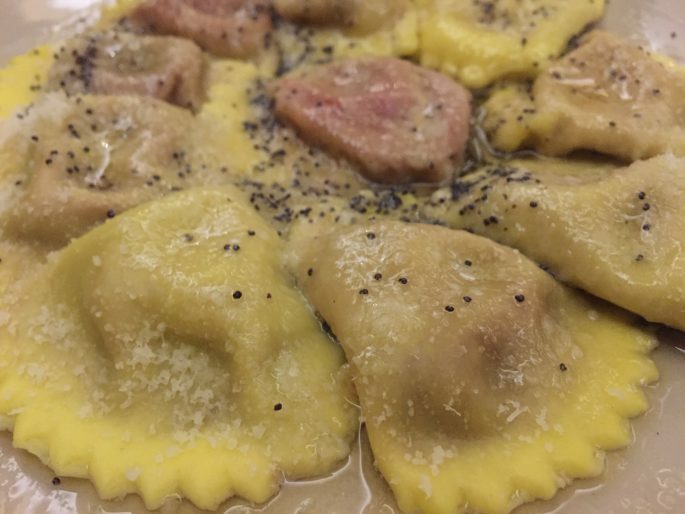 The helpful front desk staff tip might tip you off about Al Passetto – and I certainly never would have found it otherwise, as it is smack bang opposite the bus station (less than 5 minutes’ walk away), not somewhere I would care to look for good food unless I was given a head’s up. 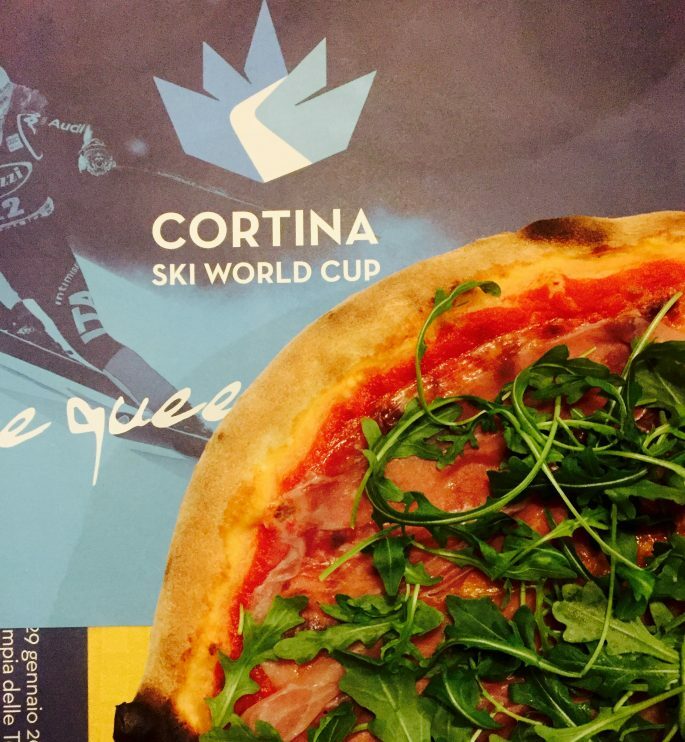 It’s the perfect place for an introduction to Cortina’s mountain cuisine; homely, warm and cosy, there are gigantic puffed up calzones and beers being served and even on a sunday night every table is occupied. First on the agenda is of course breakfast, and there’s a good spread at The Ambra to get you started before a day out. 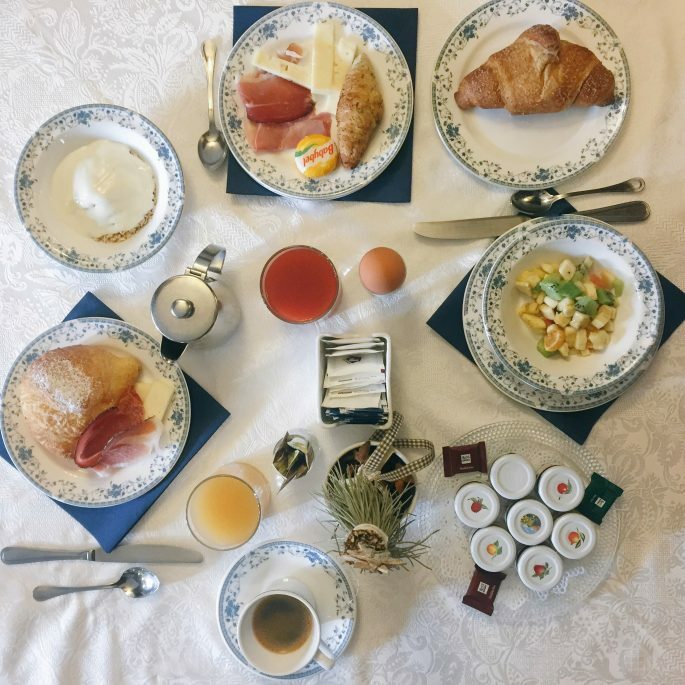 It is very much a continental breakfast; meats, cheeses, pastries, yoghurt, fruit and even as is the norm in Italy, cake. After breakfast it is time out to get out into them there hills. 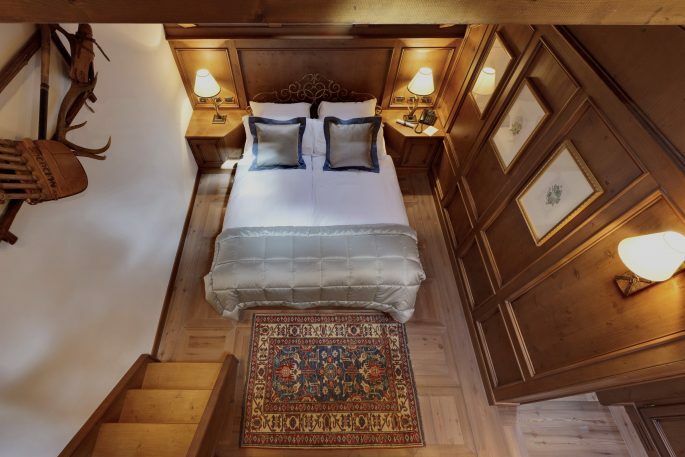 This is after all what you come to Cortina for – the town is of course in a valley surrounded by peaks rising all around, beckoning you to explore. 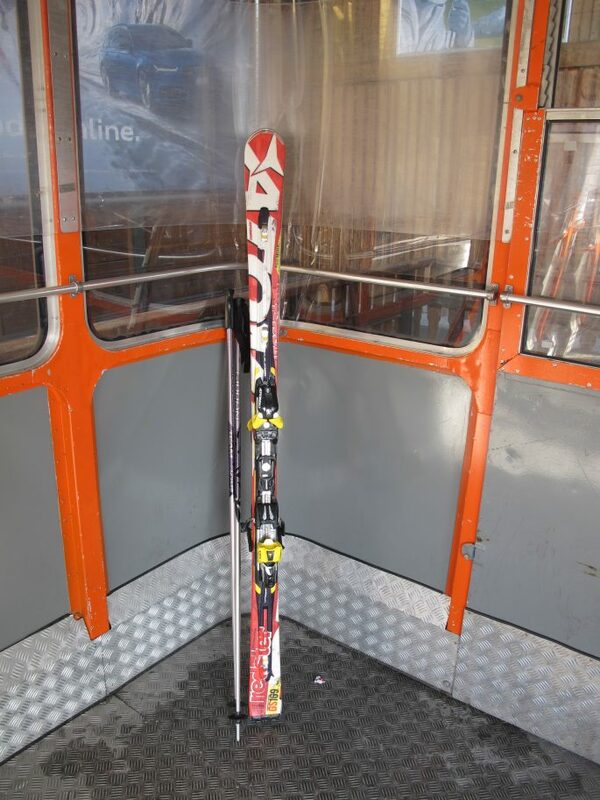 • 1770 METRES IN 1 MINUTE • Fancy a cable car ride? This is the ascent from the Italian ski resort of @cortinadolomiti to the slopes at Col Druscie. At 1770 metres it’s nowhere near as high as the area’s highest peak Tofana which sits at 3244 metres, but the views are still spectacular. 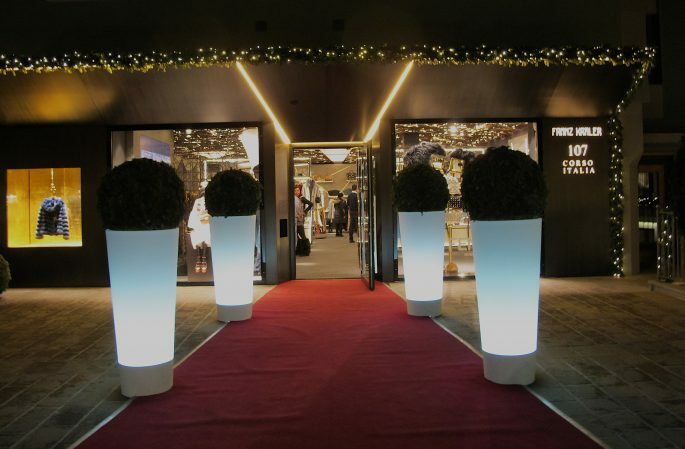 I’ll be sharing my guide for the perfect weekend in Cortina (for skiers and non skiers alike) this week at Savoirthere.com. 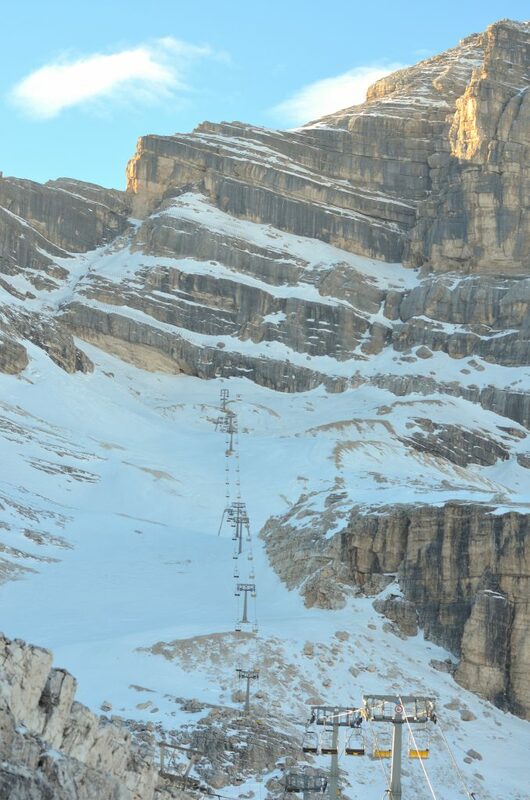 There are 3 different cable cars from Cortina which take you to 3 different areas of the mountains which surround the town, but I choose to head up toward the area’s highest peak Tofana, at 3244 m.
The cable car stops at Colfiere and then continues up to Col Druscie before reaching Ra Valles at 2470. The final stage to Tofana is closed on the day I visit but the views from 2470m are pretty incredible. I see a plate of steak frites coming out of the restaurant at Col Druscie and my mouth is immediately watering. There’s something about being up in the mountains which gives you the appetite of a horse, even if you haven’t been skiing or snowboarding. 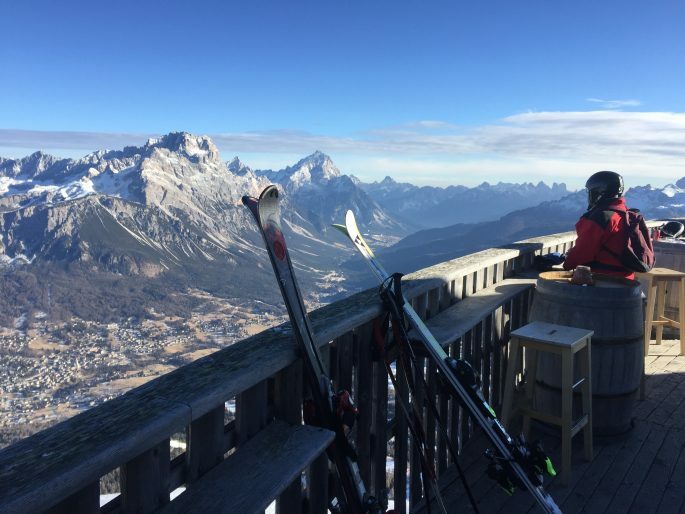 One of the best things about a mountain break even for non-skiers is the opportunity to eat, drink and relax outdoors, in brilliant sunshine at mountain refuges, many of which have jaw dropping viewing platforms with 360 degree vistas – and there are plenty in the Cortina area. You can also have a few drinks with lunch and take the cable car home, no drinking and driving for you! 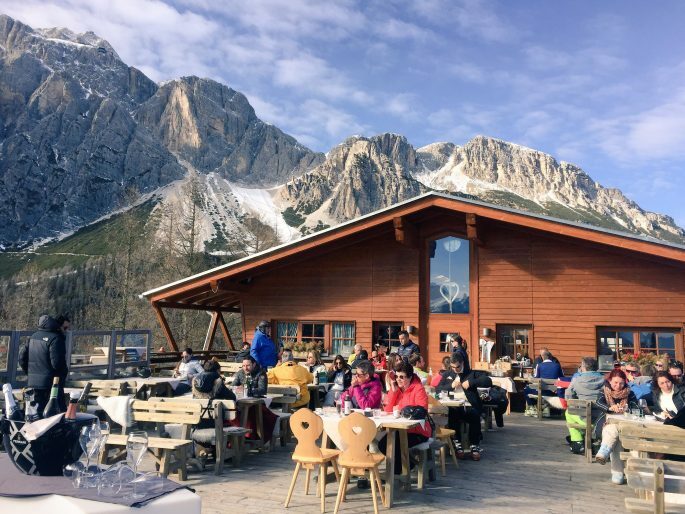 Here’s a full list of all the mountain refuges serving food near Cortina – be warned that clicking will make you hungry. The last cable cars zip back down at around 4pm when I visit in February, so it is time to head to the hotel and get changed for dinner. This is a good day to take it slow, have a rest and freshen up, then linger over one of Cortina’s fine dining experiences – Al Camin. Being a sporty kind of place nowhere in Cortina is overly formal, so even though the food at Al Camin is elevated, the atmosphere doesn’t feel strained. 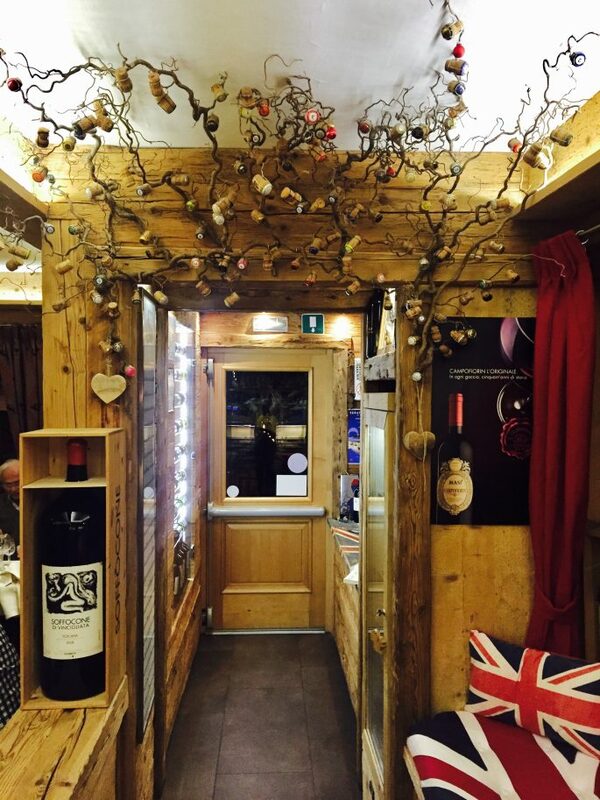 From the bread basket containing aniseed mountain bread, to the town’s signature beetroot filled ravioli (if you adore beets you have to try it) via local specialities like deer loin served with raspberries, the food is flavourful, earthy and hearty, yet never feels at all stodgy. This fact means you may well have room for dessert (not always the case in Italy) even though there will *definitely* be cake at breakfast. 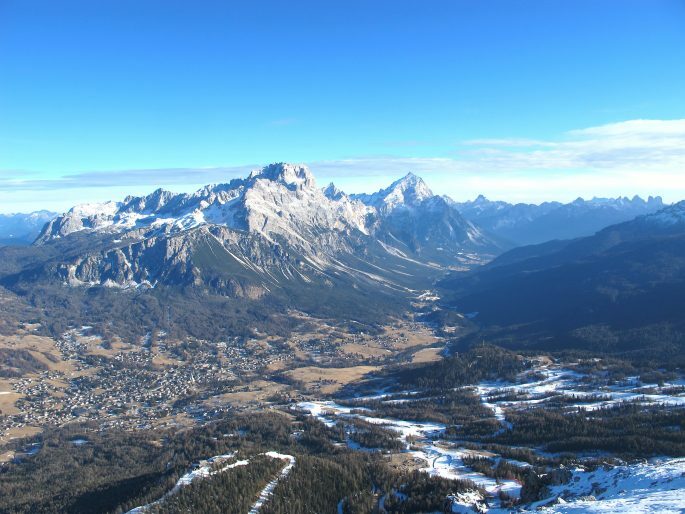 Today is all about exploring the art and culture scene of Cortina – and if you’re a skier or snowboarder you can leave your non-skiing friend or partner to enjoy the town all day without any guilt. 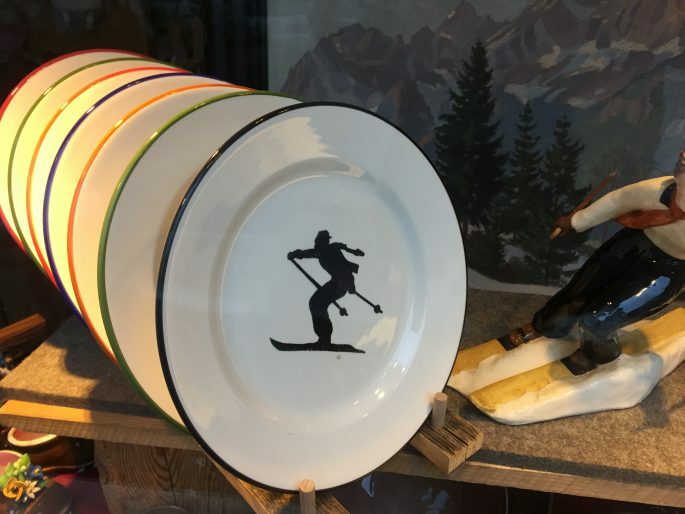 It is a great opportunity for the skier to head back up to the mountains (scroll down for more info) now they have an idea of the layout of the slopes and cable car routes, while the non-skier shops, takes in the art galleries and museums and relaxes at one of the coffee shops. I send my partner off to snowboard, while I have a girlie day to myself in Cortina, and it is blissful. Because I’m right in town I can walk everywhere. I start by shopping. First up on any girl’s itinerary while in Italy is surely shopping. 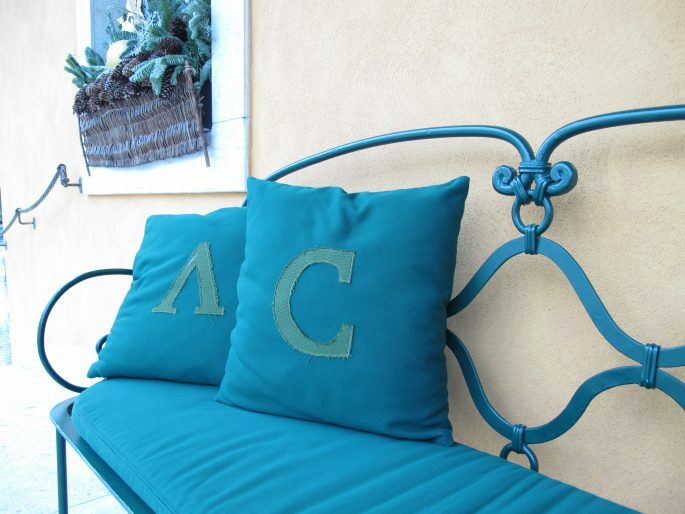 Italian style is, of course, legendary and I find out you don’t have to visit the boutiques of Rome to stock up on Italian designers, or soak up the Italian sense of style. 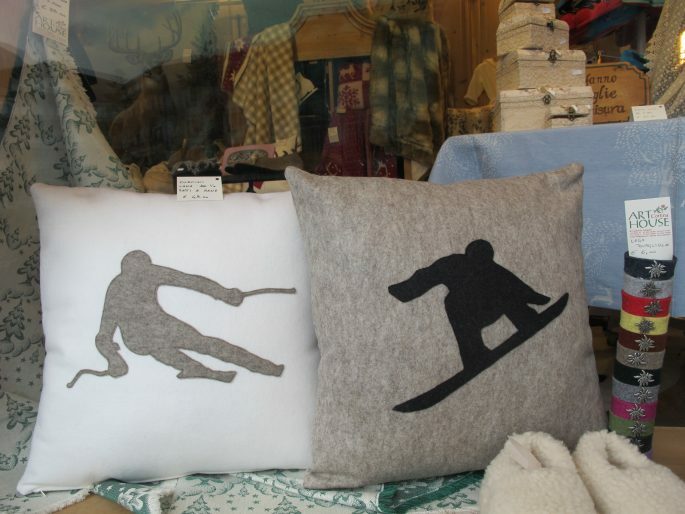 The average ski resort couldn’t possibly compete with Cortina’s impressive array of fashionable boutiques, piled high with Prada – but don’t worry, as well as high end designers there are affordable little shops selling clothes, accessories and homewares. 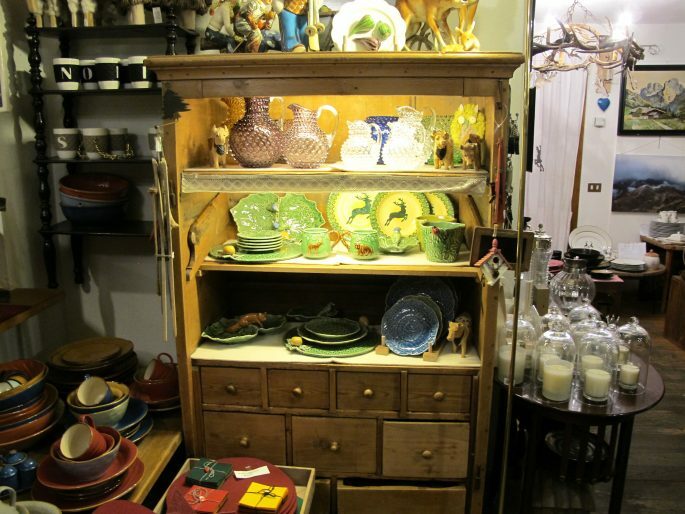 It is an exceptionally easy stroll along the Corso Italia popping your head into whichever shops take your fancy, and if you buy too much it is very easy to nip back to your hotel. 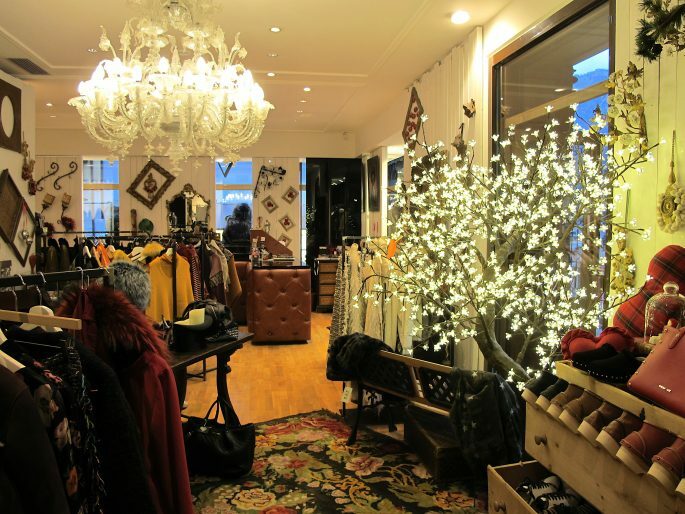 I particularly like the way some of the shops are styled in a mountain chic kind of way, displaying garments on antlers, or piling them into old wooden chests. Bear in mind that as in the rest of Italy everything is closed at lunchtime from around noon – 3.30 pm even the supermarket, Coop, which, once it opens, is the perfect place to buy basics and souvenirs. I always save it for last on my trips and stock up on Italian olive oil, biscuits and dried goods like polenta. 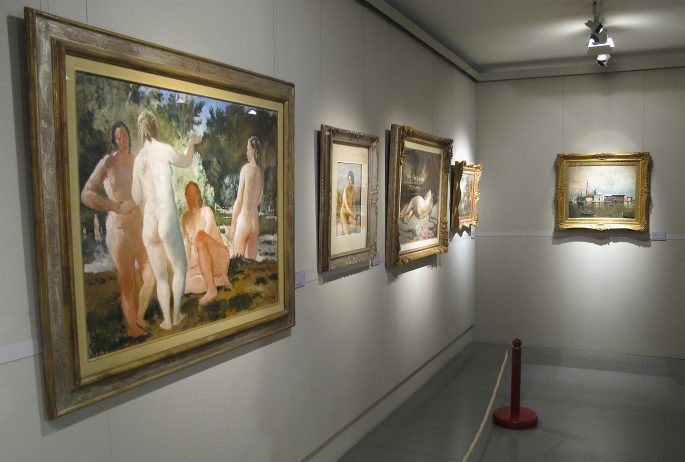 You can then spend the rest of the afternoon making your way around the museums and galleries of Cortina. 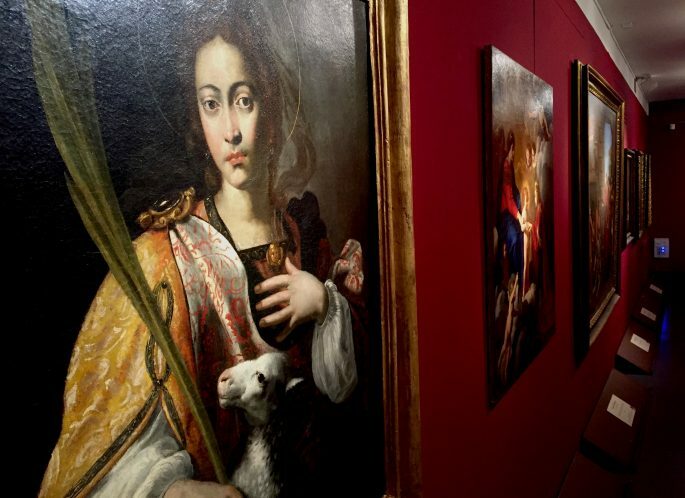 There are 3 main museums and galleries you can visit but as their names don’t fully explain what they offer it can be a little confusing. Let me explain: there is a Museum of Modern Art but this actually has both classical and modern art. 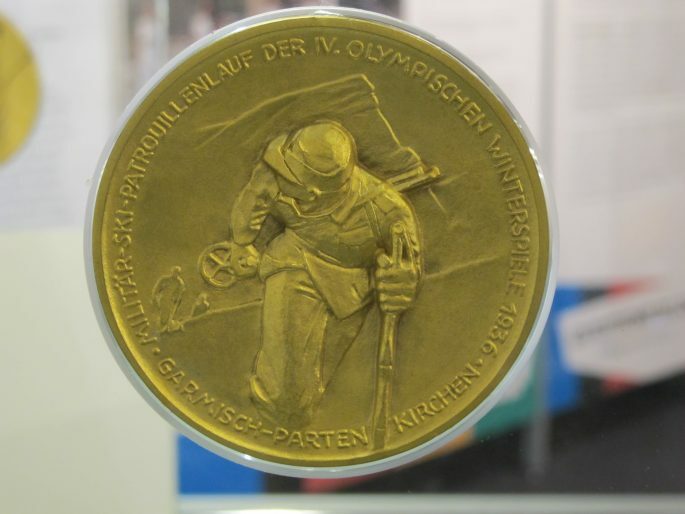 There is a Paleontology Museum which has more than just fossils – there was an amazing exhibition of Olympic history complete with torches from Vancouver and Gold medals on my visit, and there’s an Ethnographic Museum but again I found a really cool set of winter sports memorabilia on display including an Olympic Bobsleigh, costumes, skis and jerseys, so it is well worth a visit. 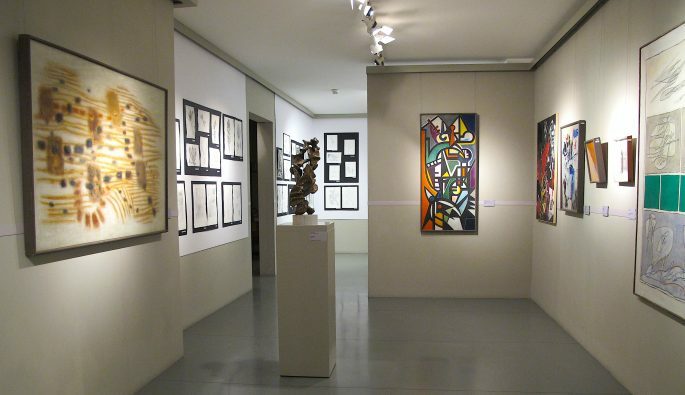 The two-storey is an eponymous collection of artwork, gathered by Cortina-born collector Mario Rimoldi and including more modern pieces by well-known Italian artists such as Chirico upstairs with classical paintings from the 1400’s to 1600s on the ground level, many by Florentine Baroque painter Giovanni Martinelli. 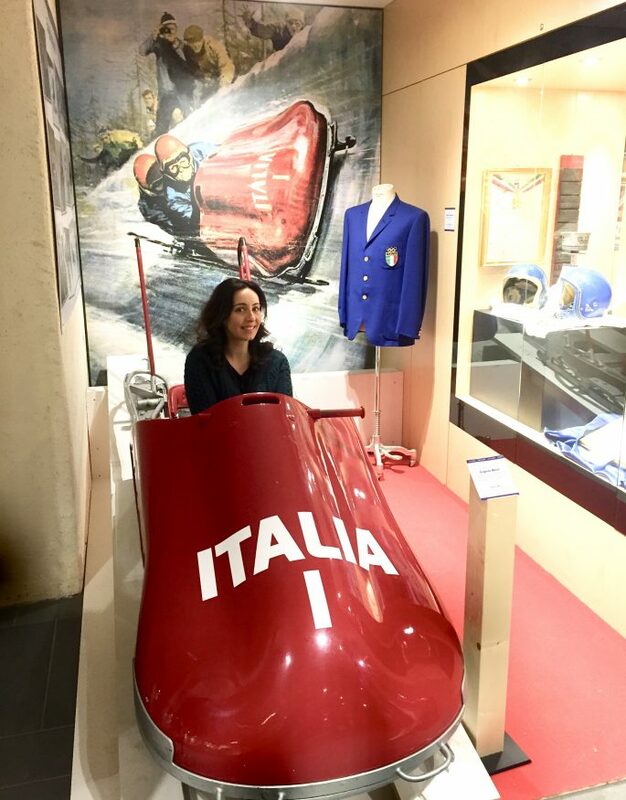 Here you’ll find a two-storey display of sporting memorabilia – I couldn’t resist sitting in an Olympic Bobsleigh, and it’s fascinating to feel the heaviness of the levers inside which are used to steer. 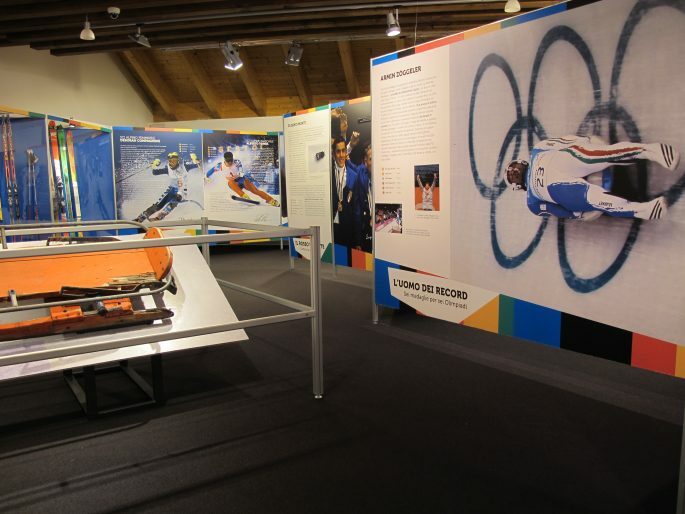 The Olympic Winters exhibition which I found on my visit had plenty of info (sadly only in Italian) about Winter Olympics of the past, with statistics and stories, and plenty of world famous and iconic objects such as medals and even Olympic torches from host cities like Vancouver. Upstairs the actual paleontology is on display and that’s a permanent exhibition. LP 26 comes up a few times when I research Cortina before my trip, so I’m pleased when I stumble on it (the town is pretty tiny so this was inevitable) as soon as I arrive, and it’s a few feet away from the hotel. After a few meals in more traditional dark, woody, mountain-style restaurants this more contemporary feel is a welcome change. It’s ridiculously brightly lit but that is standard in Italy. It is still the holy grail as far as I’m concerned – an entire restaurant devoted to prosciutto. 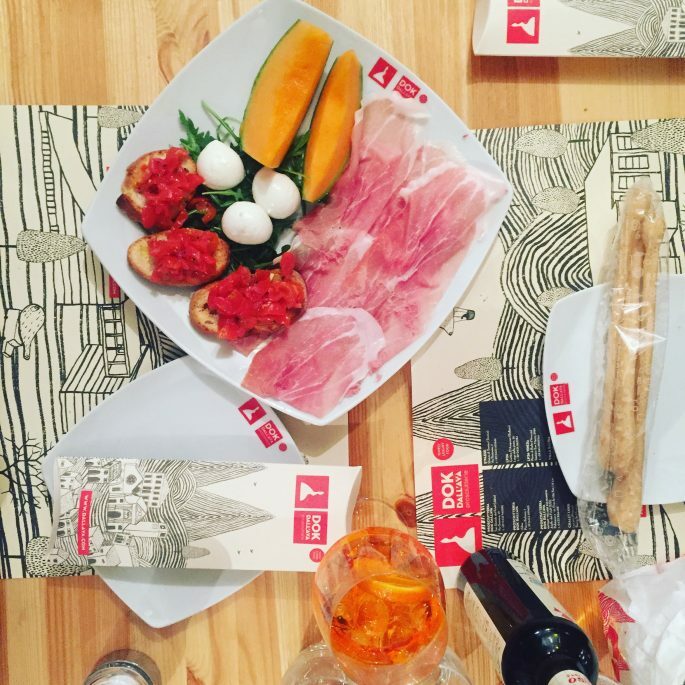 There are a selection of Spanish, Italian and Hungarian cured hams on the menu and classic combinations like melon and ham to which you can add mozzarella balls and bruschetta for good measure (as if you wouldn’t). It is all washed down with Aperol Spritz of course. I try the non-prosciutto dishes like salad and a pasta dish and it is ill-advised, they are just ok, so stick to the ham here and you’ll be happy. While I was enjoying a day of shopping, art and museums in Cortina, my partner takes to the slopes. 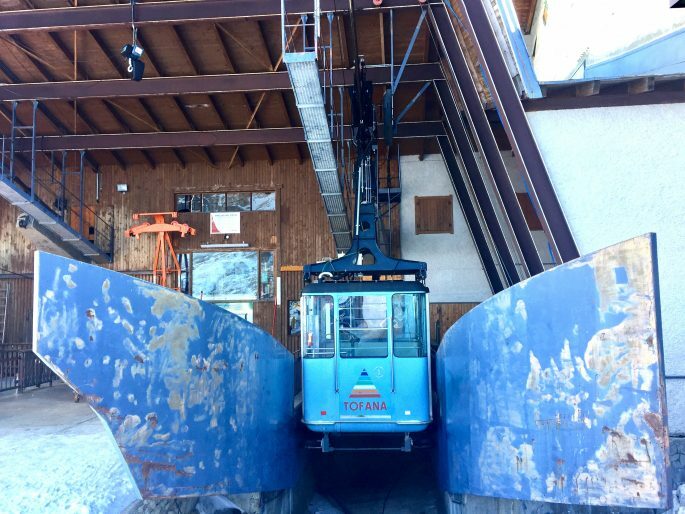 He uses the car as there is free parking at the cable car with your ski pass (you simply take a ticket on entry, and instead of paying at the machine before you drive out, you swipe your ski pass, and voila, the ticket is validated). He is a snowboarder more than a skier and was looking forward to trying out the Dolomites on a snowboard for a day. As he travelled with only hand luggage and managed to squeeze his ski gear (trousers, jacket, gloves, thermals and goggles) into his carry-on he just needed to hire a snowboard, boots and helmet from the shop directly opposite the hotel, which cost a total of about 36 Euros – which shows that skiing in Cortina really can be done on a budget. 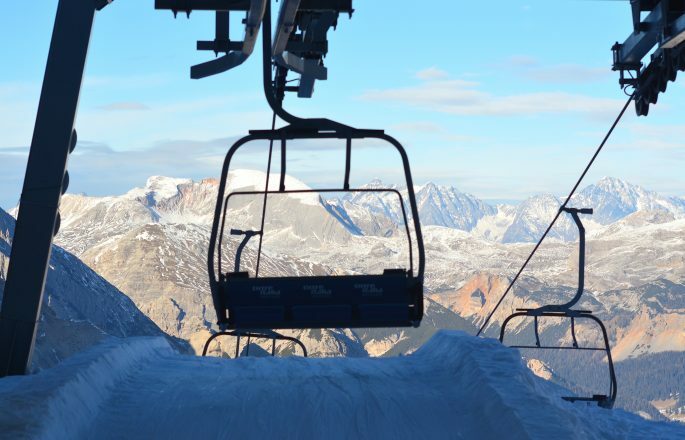 Cortina is also part of the Dolomiti Superki area which allows one pass to take you to 12 skiing areas, 1200 km of slopes and 450 lifts; the idea is that you can never get bored while skiing or snowboarding here. 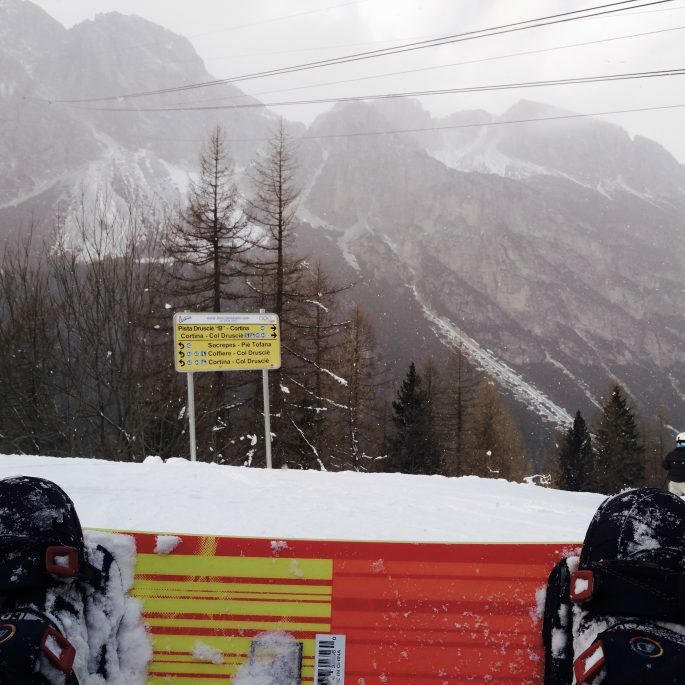 He is lucky as it had been an unusually slow few weeks for snowfall in Cortina but while he was on the slopes he caught a nice flurry and was able to snowboard on some fresh snow. We leave Cortina having not tried out any of the area’s spas (I had my eye on Rosapetra), without sitting in the tantalising sounding Highest Sauna in the Dolomites and before we get the chance to explore the surrounding Cinque Torri area which is famous for its World War I history as well as the stunning scenery. So it seems that it’s impossible to be bored on a weekend in Cortina in general, and there’s enough to justify a return visit. 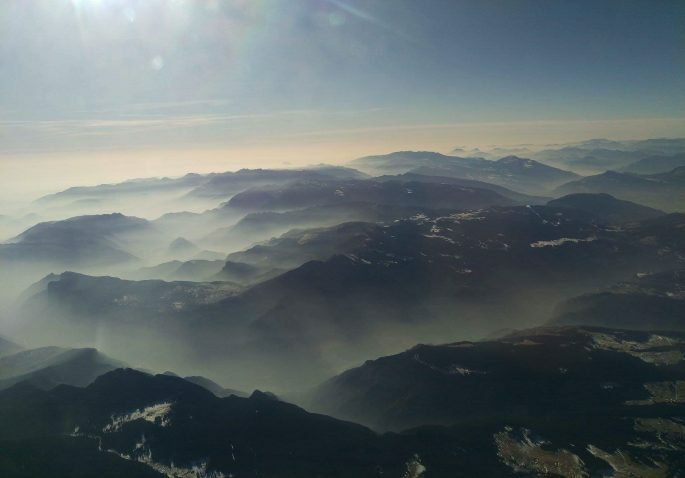 The easiest way to travel to Cortina is to fly into Venice. If you’re not planning on going into Venice itself it makes a lot of sense to use the low cost airport at Venice Treviso, which is served by Ryanair (though from the UK you can only fly there from Stansted). 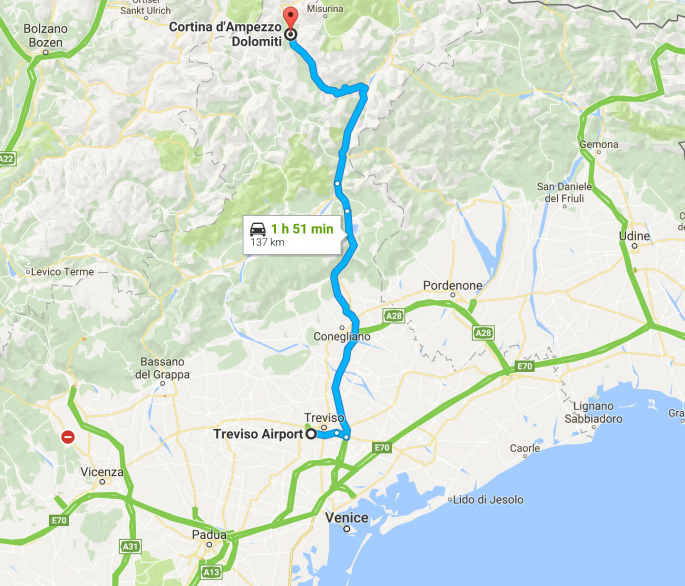 Treviso is to the north of the city, so you won’t have to worry about navigating Venice if you’re hiring a car and this way you’ll already be 30km closer to Cortina compared with landing at Marco Polo. 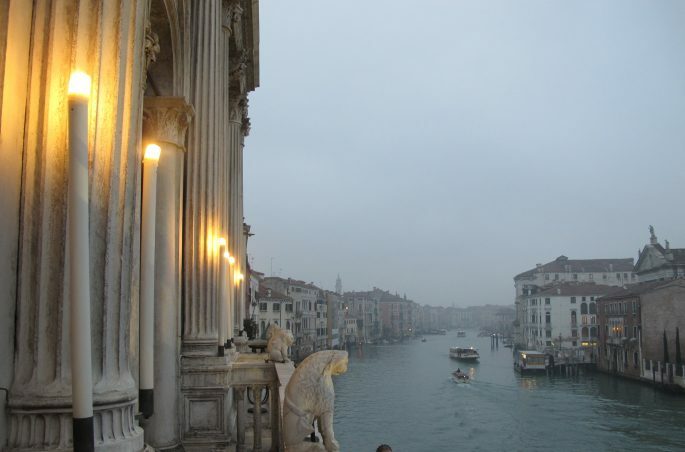 Venice’s main airport at Marco Polo is served by British Airways from both Heathrow and Gatwick so it depends on your circumstances as to which suits you best. If you do decide to hire a car and want to go to Venice on your way in or out of Cortina I would advise collecting the car after your visit to Venice or dropping it off beforehand as unsurprisingly parking and navigating around a city built on canals isn’t ideal, especially if you’re in a rush or not familiar with the streets. 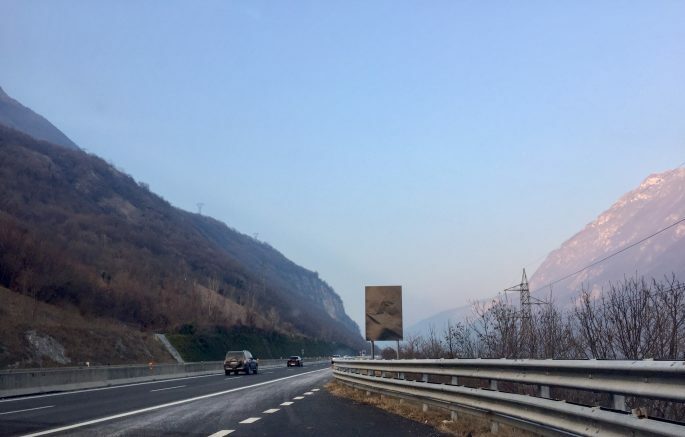 We hired a car at Treviso airport and drove the straightforward 137 km (it takes under 2 hours) north to Cortina on the A27. I chose Avis because after doing some research on car rental companies available at Treviso Airport I decided this was the most trustworthy company to use, and the hire went without a hitch (I should point out that nobody from Avis knew I was writing about the experience). 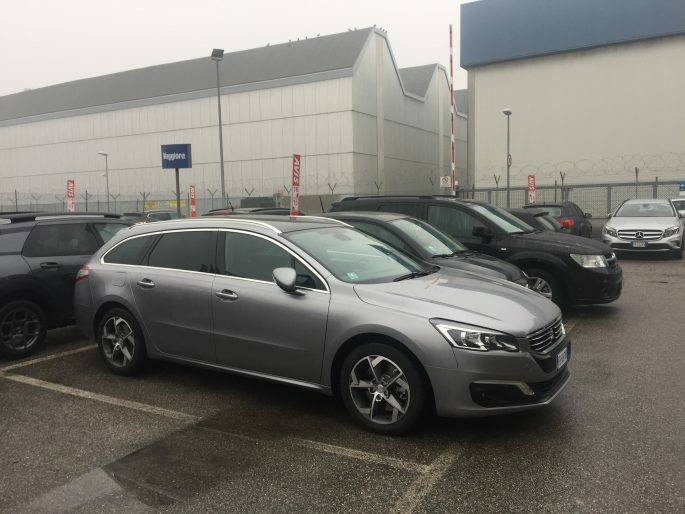 Although I hired a compact automatic (because I didn’t want the added hassle of constant gear changes in the mountains), I was given an amazing and very luxurious new Peugeot, but it was huge. One thing you’ll want to be aware of is that while getting onto the A27 motorway (a toll road and therefore fast and well maintained) after exiting the airport is actually unbelievably easy, once you get into the mountains, the roads do become windy, traffic can be a little heavy, and so you need to be a fairly confident driver to cope with the narrow roads and other drivers. There are also coaches with Cortina Express from both Venice airports to Cortina (and from elsewhere in Italy) but the arrival times are very limited. For example there are only 2 coaches per day out of Cortina, and both are in the morning. This didn’t stack up for me and I decided my freedom was more important during my weekend in Cortina but if coach times match your flight times they are worth considering. There are decent bus services in Cortina, including the number 8 bus which takes skiers to the cable car. 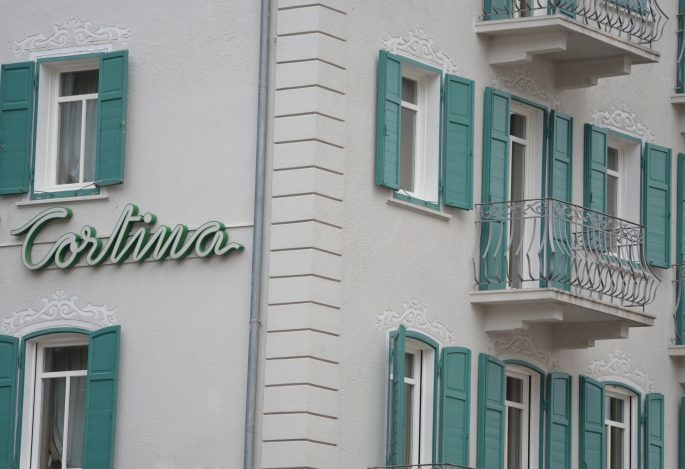 The Cortina tourist board has an excellent website with an abundance of thorough information. 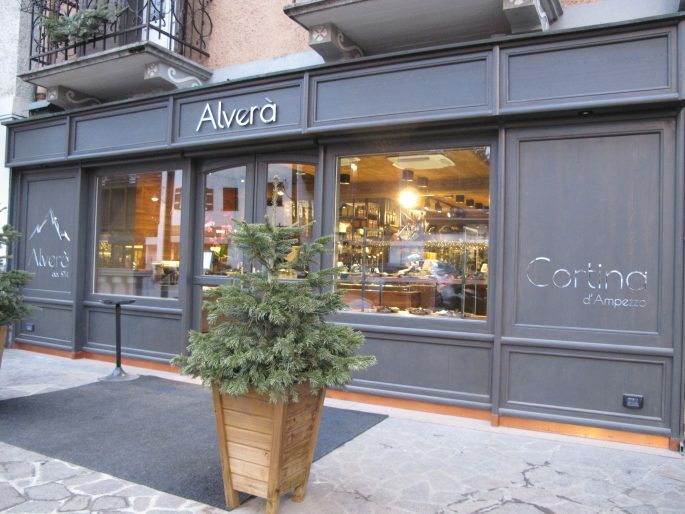 Savoirthere was a guest of Hotel Ambra Cortina and at Al Camin. All opinions expressed are honest. If my best friend asked me for help planning a trip to Cortina this is exactly what I would tell her.